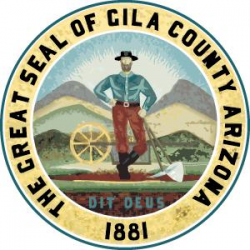 PURPOSE OF THE JOB Performs specialized, complex office support and clerical work of a technical nature in support of Gila County Court system. • Receives, computes, classifies and posts fees or fines for criminal, family law, civil, probate and guardianship cases; issues receipts; reconciles cash drawer, lists data on indexes and cross reference systems and enters information and documents into established filing and data systems, uses indexes and researches information, maintains and controls complex filing systems. • Maintains legal files and indices; checks files in and out using automated file tracking system; Oversees vault which contains court files and microfilm; enters and maintains data in automated court case management system; receipting documents; prepares and processes formal orders; answers telephones; maintains, monitors, reviews disposition of case files. Maintains awareness of rules governing destruction of court records for microfilming purposes; prepares and arranges for files to be sent for microfilming; confirms accuracy of records when returned from microfilming; and maintains microfilm. • May be required to travel to satellite offices; may act as back up for Courtroom Clerk IV; completes mandatory 16 hours of continuing education and United States Passport Agent certification yearly; operates a variety of office machines. This position provides research support on elected office level budget. This position responds to public inquiries and explains County procedures or processes. This position creates or edits documents, internal memos, emails and formal letters. High School Diploma or GED with additional specialized or technical training courses. One (1) year experience or equivalent combination of education, training and experience. Clerical, customer and personal service, training, English language and composition, law and government. Active learning, active listening, reading, communicating diplomatically, customer service, problem solving, multi-tasking, typing and data entry. Make sense of multiple information, focus, maintain calm demeanor in stressful situations, follow orders, recognize problems, speak clearly and sensibly, read and write at professional level and multi task. • Occasionally stands to attend to cash register and to attend to customers. • Regularly sits to complete reports and to operate special equipment. • Routinely sits to attend to other duties. • Incumbents in this position may be required to routinely walk to and from work sites, bend, stoop and occasionally twist. • Occasionally lifts a maximum of 25 lbs. Incumbents in this position constantly spends time in office environment; in lobby environment; and in library, courtroom or other public access areas, automobile or vehicle. Incumbents in this position are generally not exposed to safety risk. Occasionally, may become exposed to telephone verbal abuse by customers or citizens and/or individuals with high level of emotional distress.